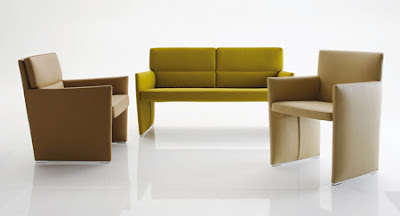 This brand new seating collection was designed by Architect David Chipperfield for furniture brand B&B Italia. 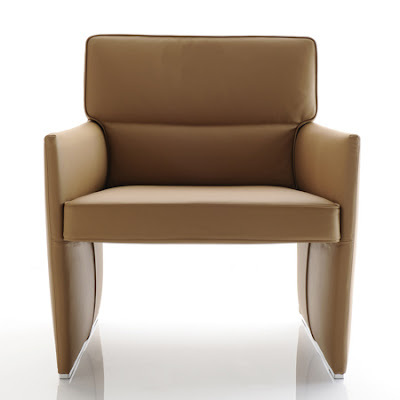 The leather collection includes a dining chair, easy chair and sofa, and is on show this week at trade fair Orgatec in Cologne, Germany. 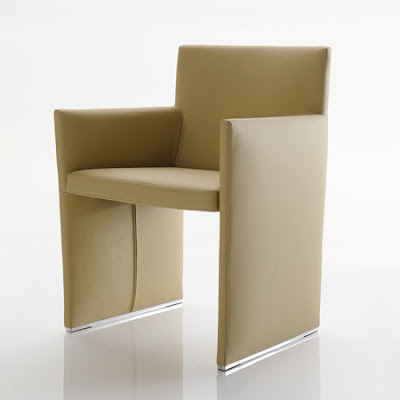 The seating range Posa derives its name from the Marquis von Posa, the idealist hero in the play Don Carlos by Friedich Schiller. Schiller was born in Marbach Am Neckar, Germany, where David Chipperfield recently designed the award winning Museum of Modern Literature, completed in 2006.